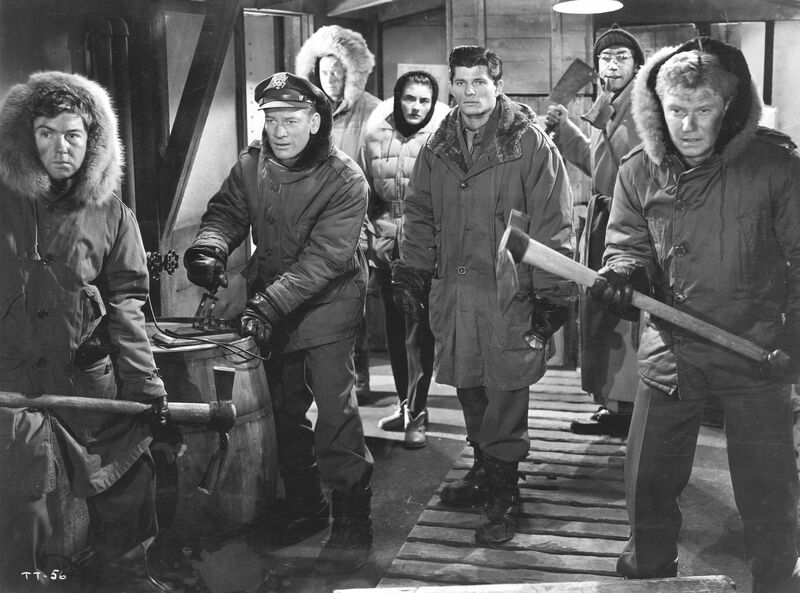 Blu-Ray News #199: The Thing From Another World (1951). 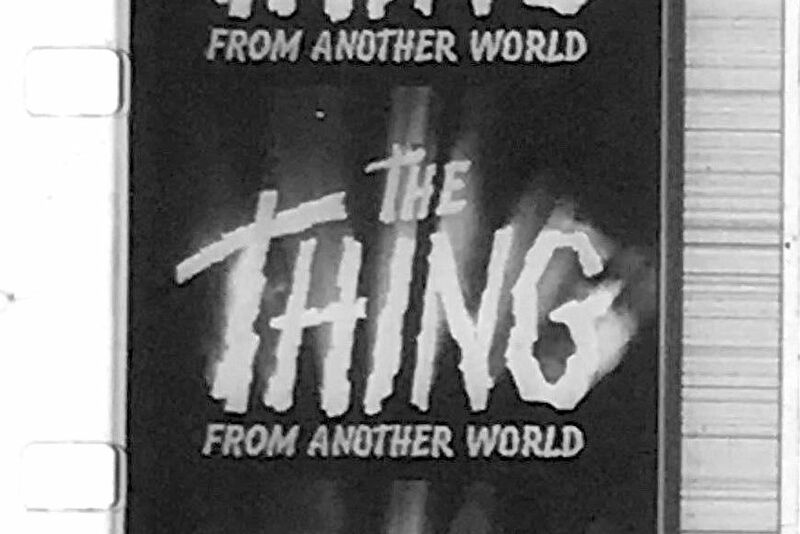 The Thing (1951) scared me to death as a kid. It’s one of my Top 10 favorite films. It’s been sitting at the top of my Blu-Ray Want List since the format was introduced. And it’s finally coming to Blu-Ray from Warner Archive. It’s basically about some cool military guys and a really cool woman saying and doing cool things as they take on a monster from outer space — and a scientist who’s determined to protect it. Howard Hawks’ stamp is all over it (cool people lumped together to deal with a crisis), whether he directed it or not. This is essential. And I cannot wait for this Thing! It Came From Beneath The Sea (1957). 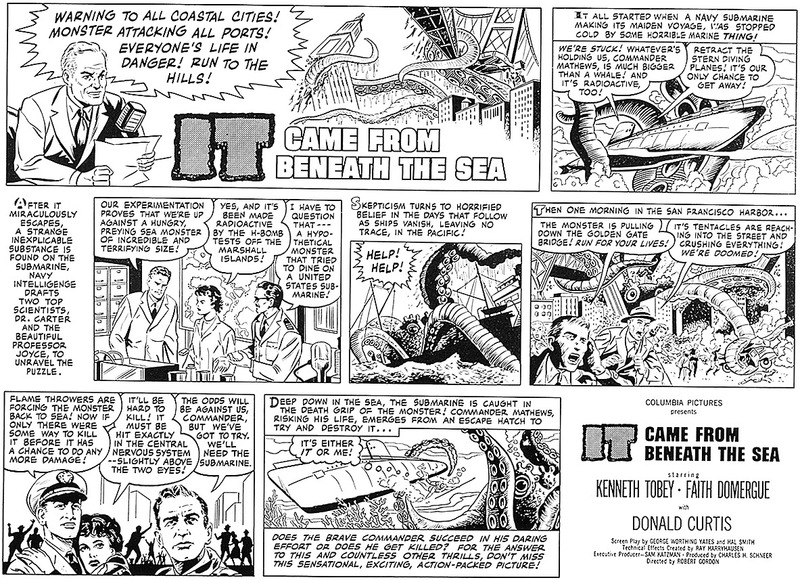 Here’s a cool comic-style ad for It Came From Beneath The Sea (1955). This one has it all: Kenneth Tobey, Faith Domergue, Ray Harryhausen and Sam Katzman. Click on the ad and you can see it much bigger. Blu-Ray News #94: The Vampire (1957). To me, this is a criminally overlooked little picture — the script, cast and direction take this way beyond its budget — and I’m so glad to learn that Scream Factory has it listed for a 2017 Blu-Ray release. It’s also great to see the work of someone like Landres get such high-quality treatment on video. 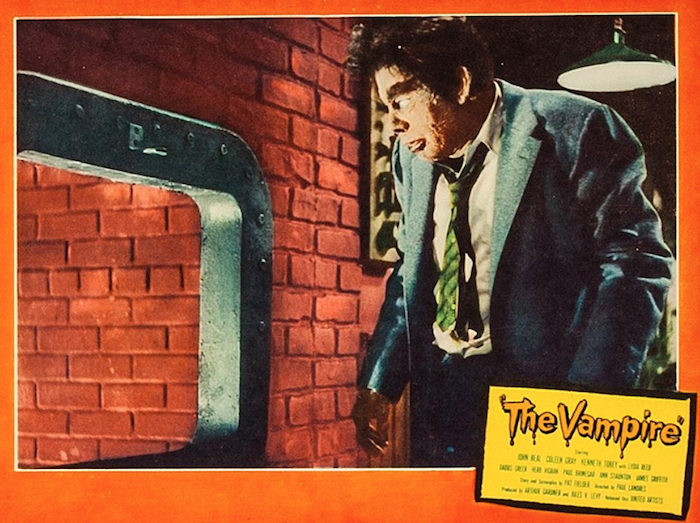 DVD Review: The Vampire (1957). Made in six days for just $150,000, The Vampire (1957) shows the kind of miracles director Paul Landres could perform with no time and no money. The fact that it made it to the screen to begin with is quite a feat — then consider that it’s a pretty solid little monster movie. Dr. Paul Beecher (John Beal) is a small-town physician who becomes a bloodthirsty monster after he mistakenly takes an experimental drug extracted from the blood of vampire bats. That the vampire here is the product of science, not the undead, is an interesting twist — and so 1950s. What’s more, it serves up a pretty good, and certainly early, depiction of the perils of drug addiction. 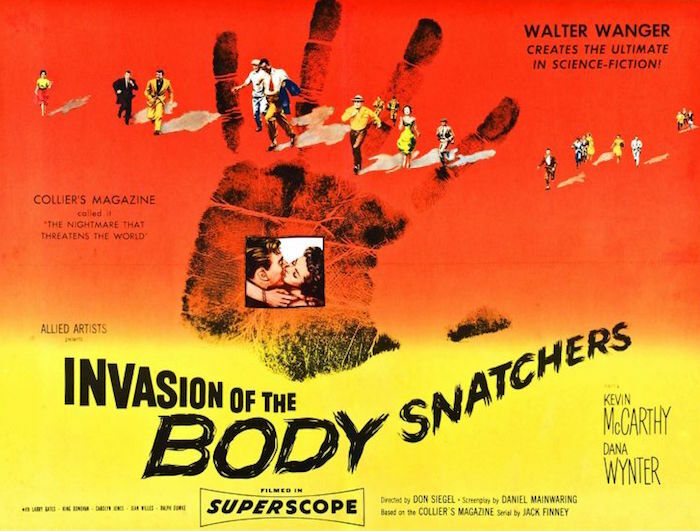 Landres began as an editor, cutting series Westerns and serials at Universal, and made the move to director in the very early 50s — both in features and TV. He retired after a 1972 episode of Adam-12. The late 50s were a particularly interesting period for Landres. He directed a few Regalscope pictures (including the terrific Frontier Gun in 1958) and a handful of cheap horror/sci-fi movies that transcend their budgets — The Vampire being one of them. 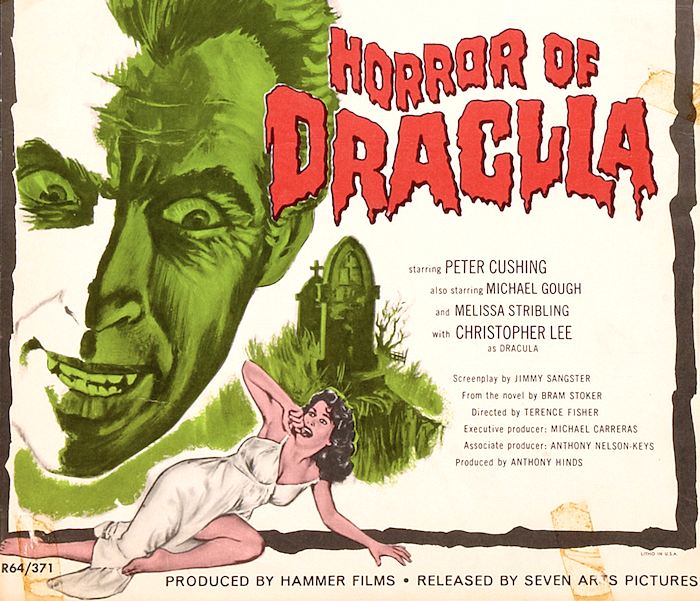 Along with Landres’ direction, what helps elevate The Vampire are its thoughtful script by Pat Fielder — who wrote a number of good science fiction pictures, including this film’s co-feature, The Monster That Challenged The World (1957) — and the solid character actors who make up its cast. John Beal does a superb job of keeping Dr. Beecher sympathetic, even as he’s killing an old lady. Coleen Gray and Kenneth Tobey are always a treat. And Dabbs Greer and James H. Griffith steal the show was two guys from the university that sponsored the drug research. Then there’s Jack MacKenzie’s moody photography. He worked with Val Lewton at RKO on Isle Of The Dead (1945), so he’s no stranger to shadows and atmospherics, and he puts them to good use here. With a cast and crew like this, how could The Vampire go wrong? 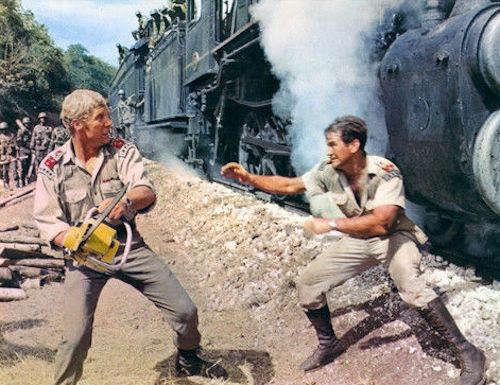 The scene where John Beal stuffs James Griffith into the incinerator is one of those monster movie moments that has stuck with me since I was a kid. Part of a genre, and an era, I adore, this one comes highly recommended. The Vampire is available on DVD as part of one of the old MGM Midnite Movies collection, paired with The Return Of Dracula (1958), another little gem from Paul Landres. The version I watched this week was the Movies 4 You: Horror set from Timeless Media Group — which also includes a pretty good transfer of The Screaming Skull (1958). The widescreen transfer of The Vampire is excellent, allowing for some artifacts coming from cramming four features onto one disc, and a real bargain at five or six bucks. Dialogue Of The Day #1: The Thing (1951). Blu-ray News #3: Ray Harryhausen Double Feature. 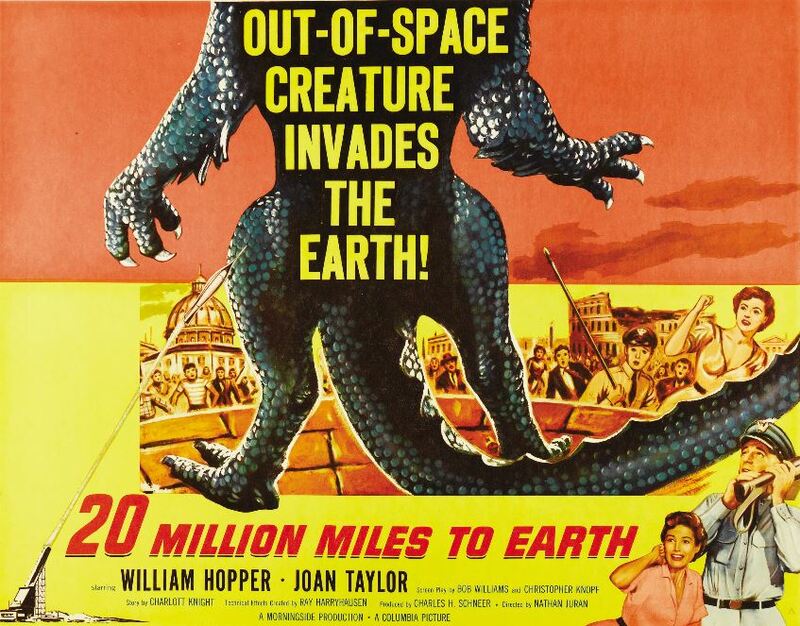 Mill Creek has come through with a good one: It Came From Beneath The Sea (1955) and 20 Million Miles To Earth (1957) as a Blu-ray double bill. 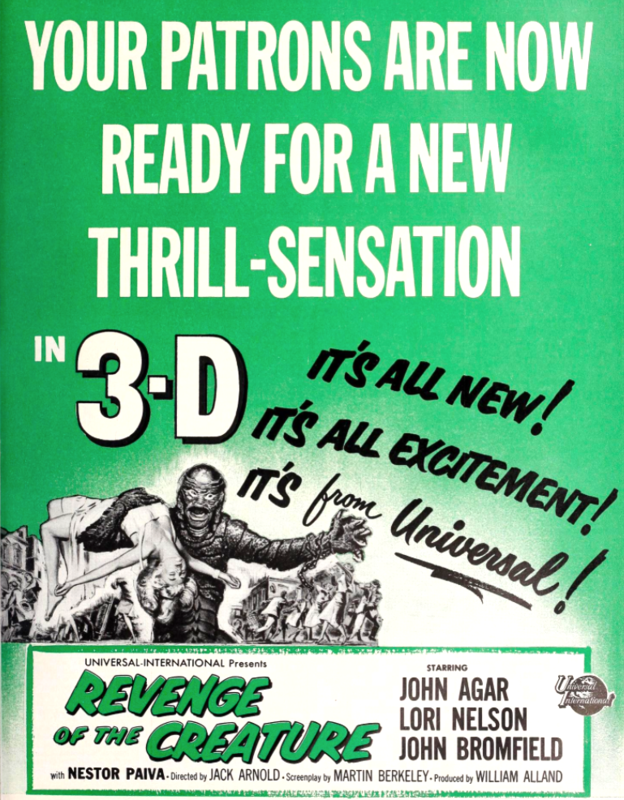 These may be my two favorite Harryhausen films, and I’m glad they’ll be presented without the colorized versions. If nothing else, that omission makes this purchase worthwhile. 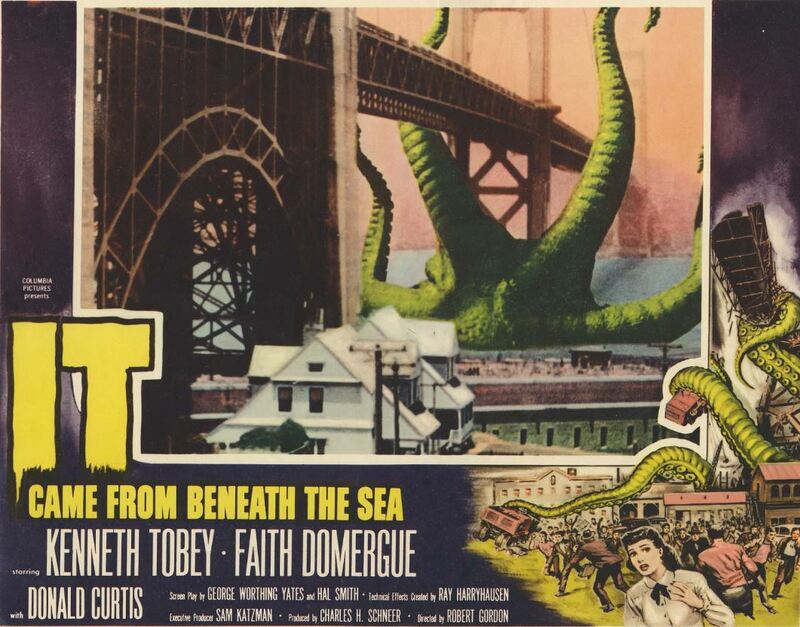 It Came From Beneath The Sea stars Kenneth Tobey, who I’d love to see on Blu-ray in Howard Hawks’ The Thing (1951).